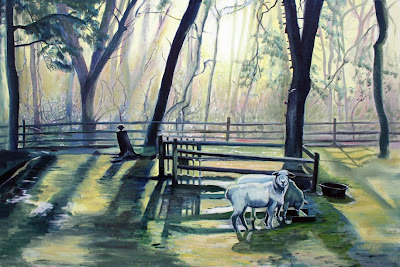 "Jelly Hill Farm" 24" x 36", commission in progress. This is day 5 on a commissioned painting from a composited photograph. I am moving in to final details, and hope to finish this tonight.